Come check out this home that features great square footage with an open floor concept in your main living areas! 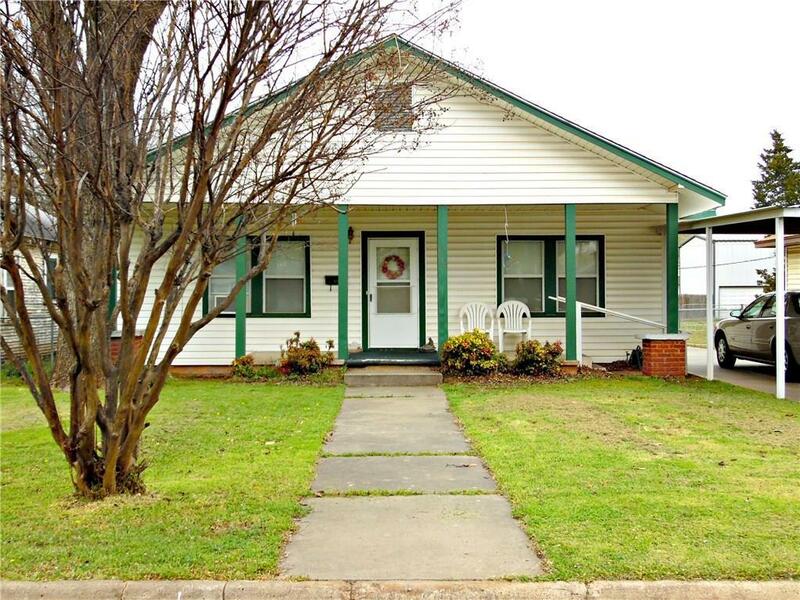 Walking distance to Bill Wallace Elementary, Grand Elementary, and USAO, it is conveniently located close to all amenities and major streets for added convenience. This home features a master bedroom, on suite bathroom, walk-in shower, and walk-in closet! Third bedroom is an optional library, office, or hobby room. The windows are updated and feature double pane glass for efficiency. Outside, bask on your over sized front porch, or play in your fenced in backyard. Additional features include: carport, concrete driveway, and two story outbuilding with work area and electricity! Schedule your viewing today.